Heritage hotels in Bhavnagar are a wonderful combination of conventionality and modernity, which are well-equipped to meet the needs of both leisure and business travelers. Bhavnagar, one of the major cultural centers of Gujarat is visited by a large number of tourists from all around the world. Established by Bhav Singhji in 1723 A.D, this city is an important trading point too and is segregated into old and new segments. 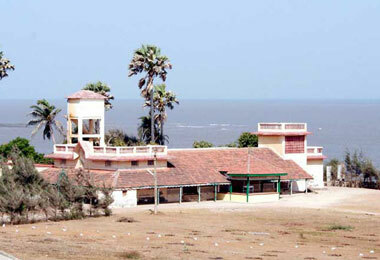 In the olden times, these heritage hotels in Bhavnagar were former palatial residences of the erstwhile rulers. The heritage hotels in Bhavnagar are those hotels which, at some point of time in history, functioned as palaces and fortresses of the great rulers of the past. These mansions lay almost abandoned for years till the members of the royalty decided that the only way to maintain these historic monuments was to renovate them into luxury hotels. Heritage hotels in Bhavnagar recreate the traditional Gujarat grandeur that is evocative of the lavish lifestyle of the powerful rulers of yesteryears. Regal décor, typical Gujarati ambience and royal care showered upon you are the trademarks of these hotels and resorts. Food at the heritage hotels in Bhavnagar include an eclectic variety of deliciously spiced dishes that recreate the traditional Gujrat regalia. These hotels have played hosts to the board meetings, conferences and office parties for various multi-national companies, besides being favorite holiday jaunts for family and friend vacations. Explore the tourist attractions in and around Bhavnagar as you avail of the travel assistance facility offered at all the heritage hotels in Bhavnagar. With their royal splendor, traditional hospitality, impeccable services and facilities, the heritage hotels in Bhavnagar are sure to offer you a stay of a lifetime. 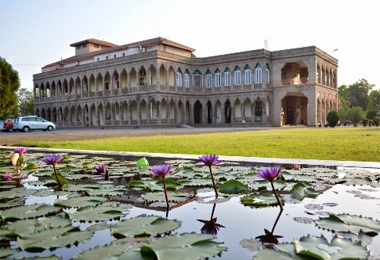 Heritagehotelsofindia invites you to enjoy an absolutely royal experience at the lavish heritage hotels in Bhavnagar.